This mystery photo looks southeasterly on a downtown intersection in 1937. The E. & W. Grand dime store and Burt’s Shoes are in the corner building. 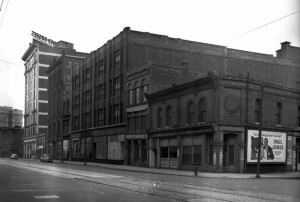 The building was demolished in 1981. Where downtown was this scene? 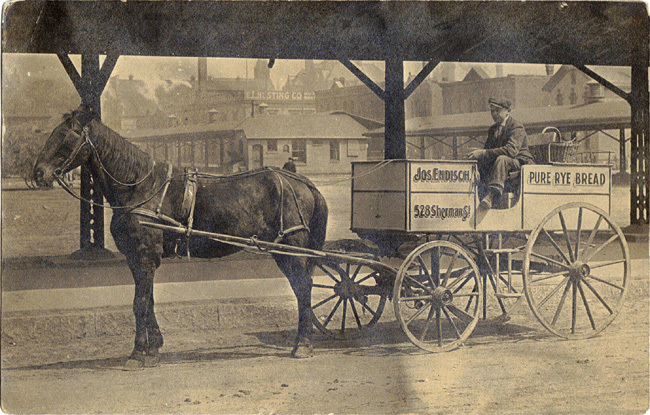 Today’s picture is courtesy of Gary Strothmann and shows a picture of the Endisch Bakery delivery wagon parked somewhere in downtown Milwaukee.There are some clues in the photo but you may have to dig a little bit and use some intuition to guess the correct location. Where was the wagon parked?? 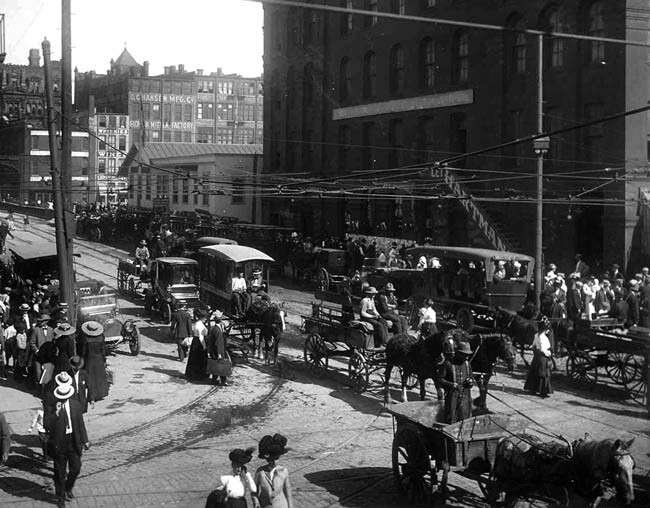 This mystery photo is from 1912 and shows a busy downtown street corner. The nearest building on the right is the Hartman’s Warehouse and in the background can be seen the Hansen Glove and Mitten Factory. 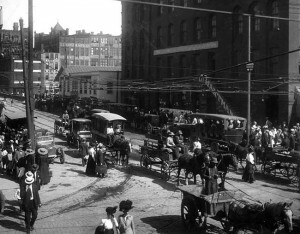 There are lots of wagons, cabs, buses and cars – obviously this was a big transportation center. Where was the picture and what was reason for all the people? Here is a very old picture of a house that belonged to one of the famous Milwaukeeans whose name is well known enough to have a school named after him. 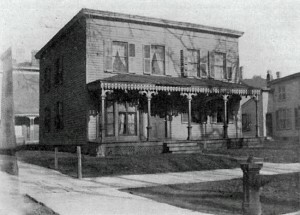 His home was in the heart of downtown and has a historical marker to mark the location. A parking structure is now located on the site of his home. Where was this home located and who was this famous man? 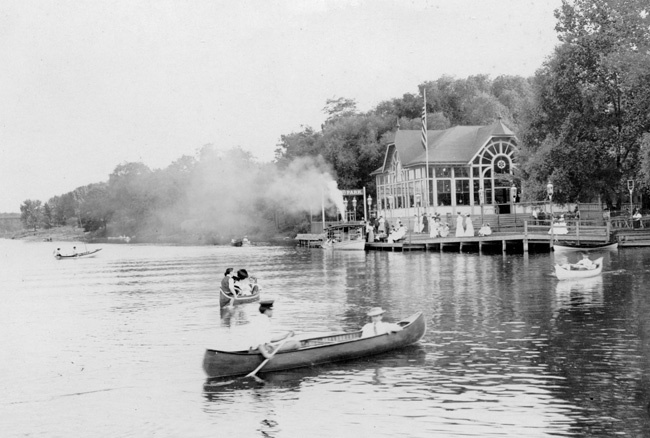 Hopefully some one can recognize today’s mystery because I am not sure where it is. There isn’t too much in the way of landmarks although the angled street should narrow it down. There also is a church on the far right which would in all likelihood still be there. Any guesses? 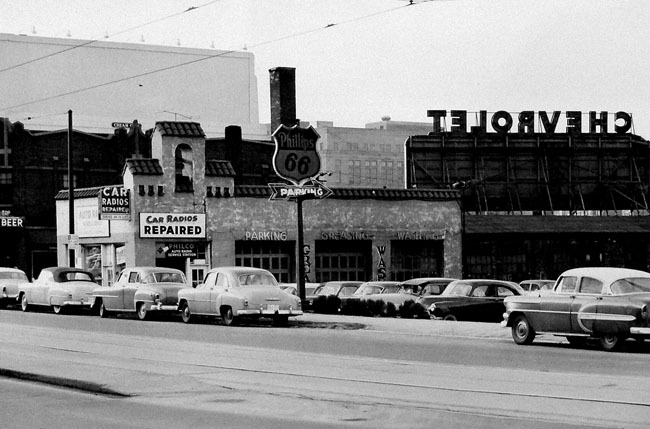 Today’s mystery photo takes us to the downtown of the 1950s. This is Wally’s Service station which was a Phillips 66 gas station. The service station had an interesting Meditteranean style and was torn down some time in the late 1960s or early 1970s, Where was the mystery building? This is an illustration of a hotel building constructed downtown. 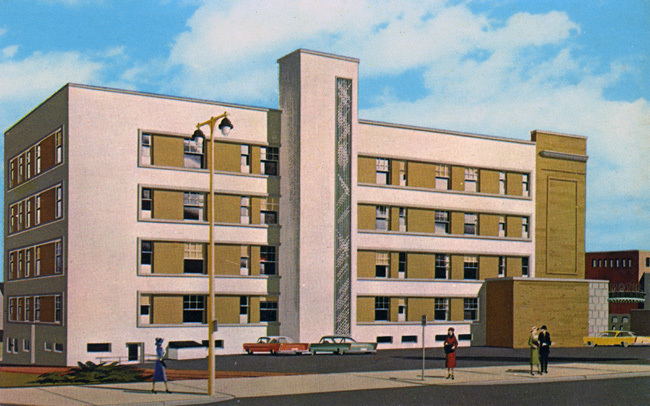 This view shows how it looked in the late 1950s after it was remodeled and an adjacent building was torn down. This picture looks south. 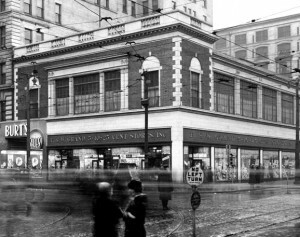 Where was this mystery building located? Here’s a good mystery photo for this Monday. 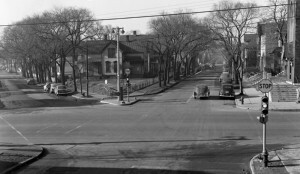 This picture looks north somewhere downtown at a block of buildings. The two near ones are gone but a few others in this block are still there. Any guesses as to the block of buildings shown? Any guesses where this early Milwaukee view of the National Spencerian Business College was? This was somewhere downtown and we are looking sort of northeast. 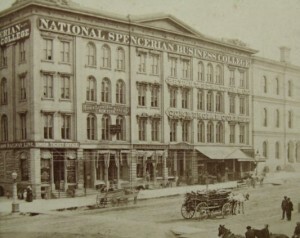 The building was replaced in the 1920s. 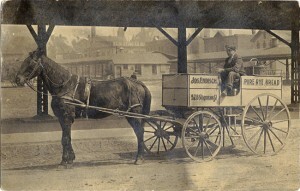 Sorry eddie, no cars although the wagon looks like it could be a 1879 Dorsch.